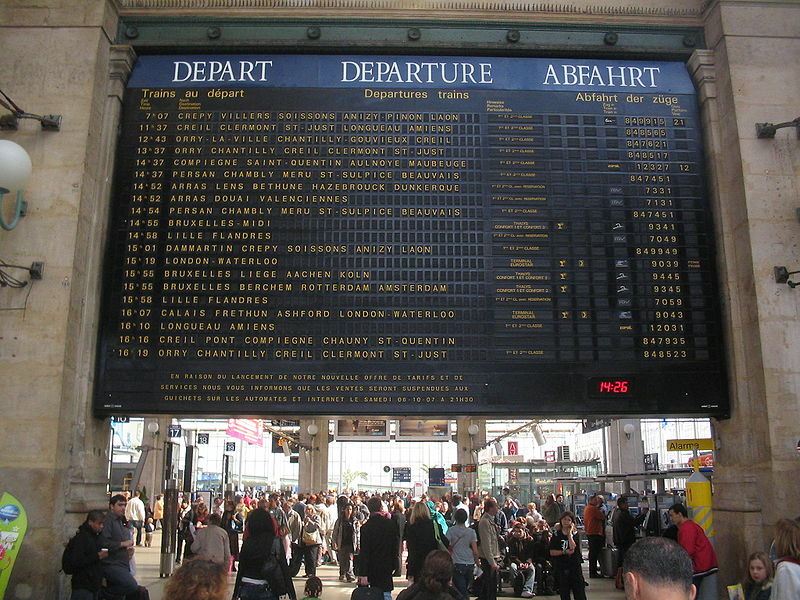 THE GARE DU NORD is one of the six terminus railway stations in Paris and it’s the one I use most often. 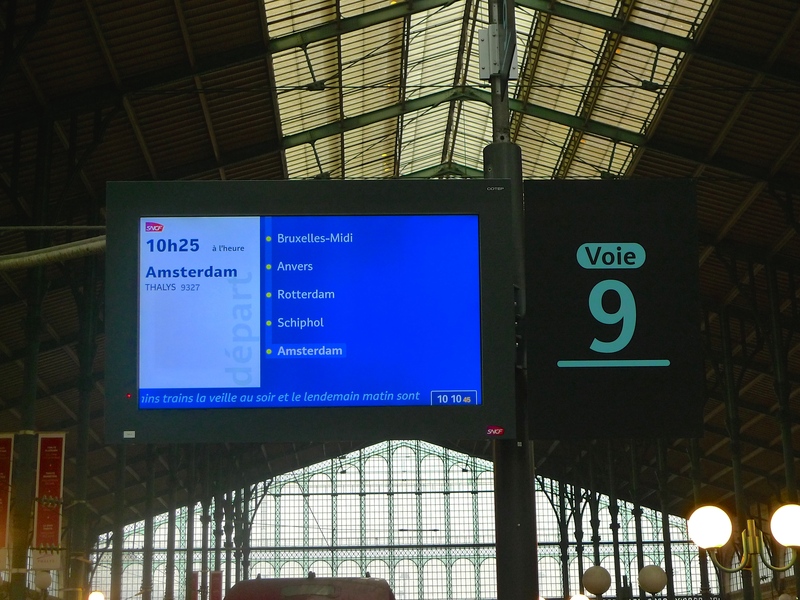 It’s reputed to be the busiest railway station in Europe with 190 million passengers passing through it each year. That equates to the population of the United Kingdom, France and Italy combined, or the entire population of Brazil. 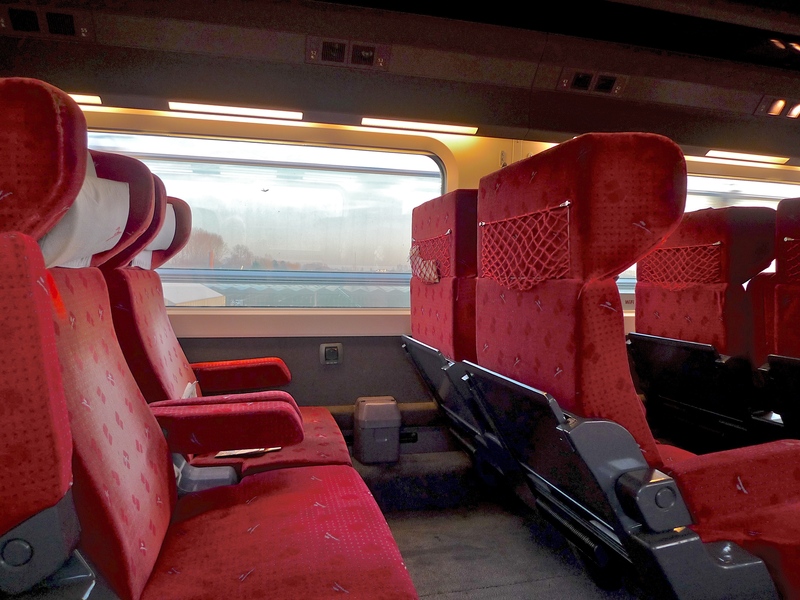 From the Gare du Nord French SNCF trains head to northern France, Thalys trains to Belgium, the Netherlands and Germany and the Eurostar to both Brussels and to the United Kingdom. 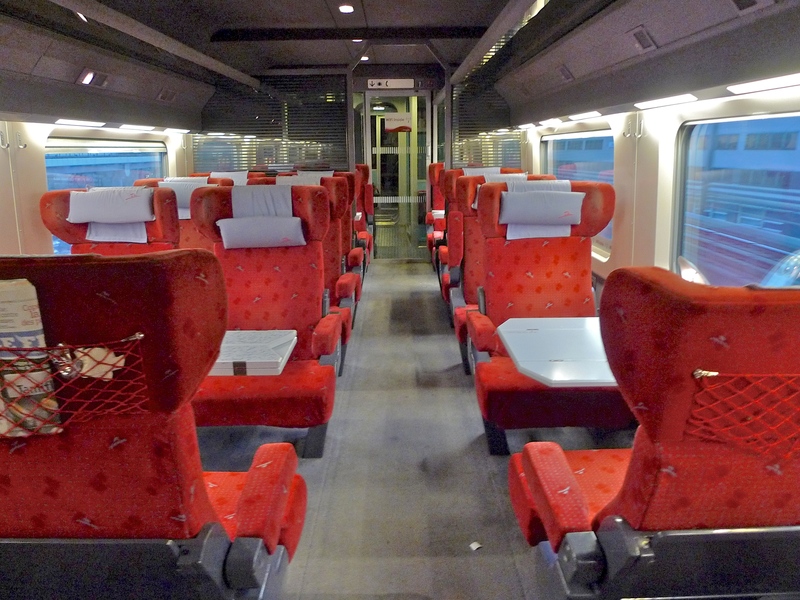 The station is also home to some French commuter train services. 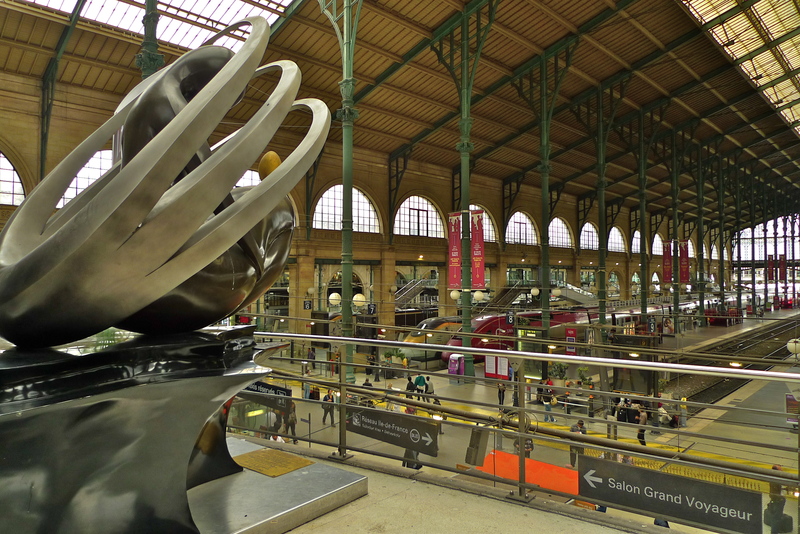 The original station was opened in 1846 but traffic expanded at such a rate that in the 1860’s the French architect Jacques Ignace Hittorff was engaged to redesign and rebuild the station. His creation is the Gare du Nord that we see today. For me, the Gare du Nord is the only station in Paris that has really distinctive sounds enveloped in their own distinctive acoustics. 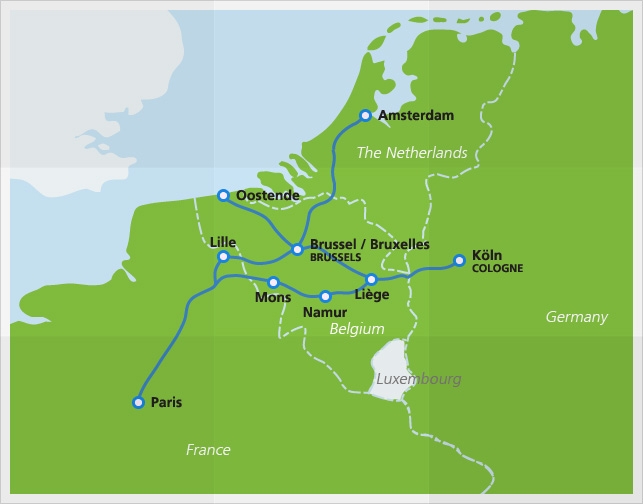 The other main Paris stations sound rather ordinary by comparison. 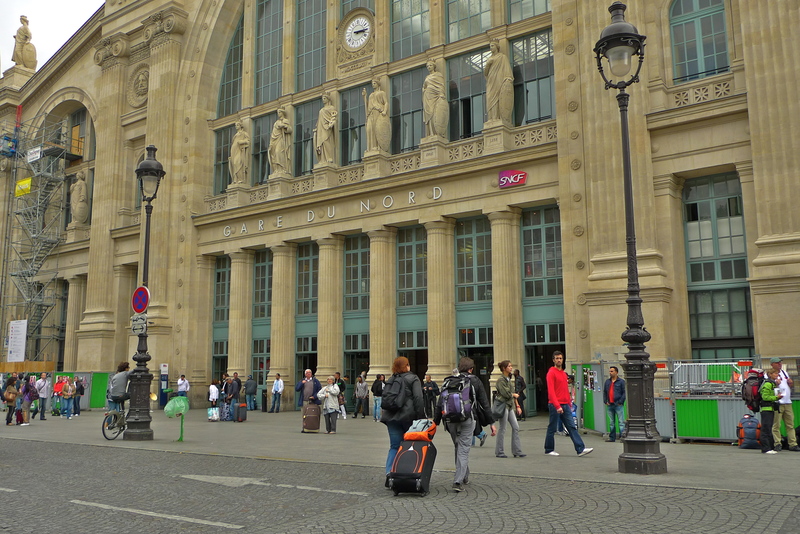 The inside of the Gare du Nord is always busy with constant waves of people ebbing and flowing. Outside, the ebb and flow continues but less with people and more with traffic. 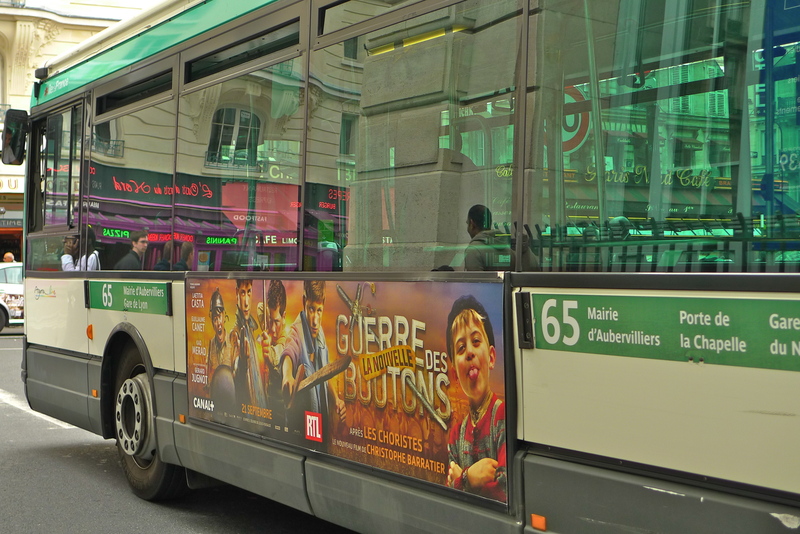 Just behind the Gare du Nord is a very busy bus station, which I know well. It’s from here that I catch my 43 bus home every time I arrive at this station after a rail journey. 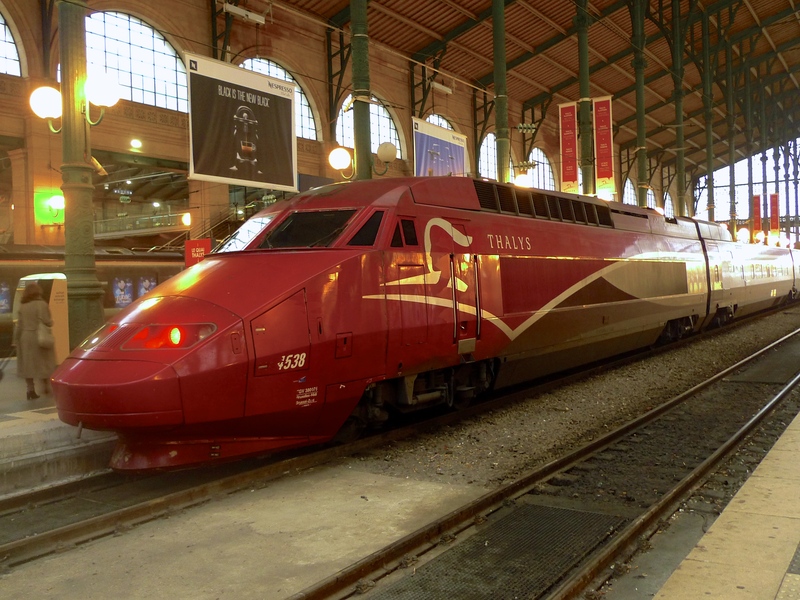 Parisian buses may not be the first thing that leap to mind when one thinks of the Gare du Nord but for me, these sounds are also an integral part of the Gare du Nord’s rich sound tapestry.